Manage to catch this movie's media screening happened on Feb 10, 2012. I liked the movie so much that I decided to watch it again at the Premere screening. This show is of an action comedy genre though I feel it's more of an action movie than comedy since the comedic element is not as many as the action scenes. The show is about a coffee shop owner by the name of Uncle Chen (played by Henry Thia) who's town where his coffee shop is in is ruled by local triad gangs. They caused many hardships towards the townspeople where they demand for protection money. 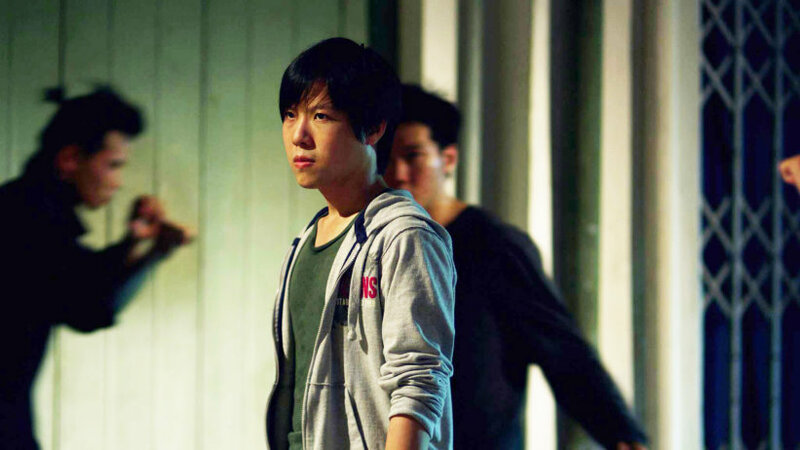 His brother, sent Jie (played by Michael Chuah, who's also the director of the movie), Uncle Chen's nephew to help out Uncle Chen in his money problems towards the triad gang. At 1st he welcomed him with opened arms but upon seeing the small amount of money brought to him, he turned him away. 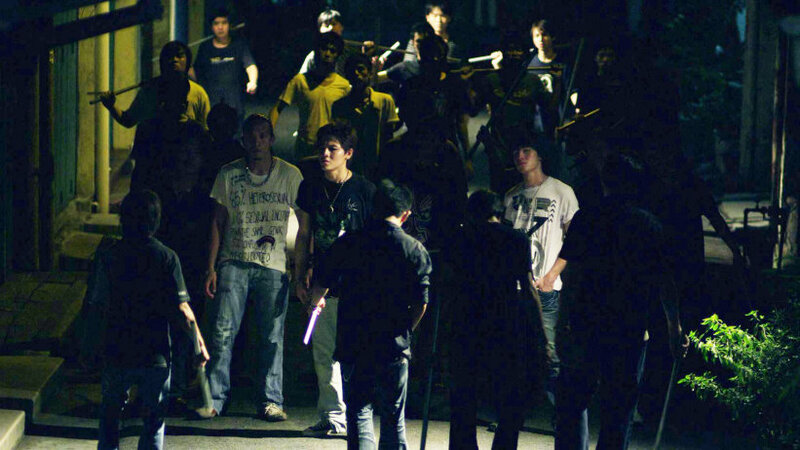 While doing so, he accidentally tossed Jie's bags in front of some of the triad gang members. As they were about to hurt Uncle Chen, Jie stepped in and fought them off. Fearing that Jie has invited further trouble to him, Uncle Chen dismissed Jie away. However, with the help of Xiao Qing (played by Wang Xiao Cheng), Uncle Chen's shop assistant, she persuaded Jie to stay and the very next morning where Uncle Chen's anger subsided, Jie was granted to work at Uncle Chen's coffee shop with a meager salary and long working hours (don't we all *roll eyes*). That night, as Jie was helping around in the coffeeshop, they heard cries for help where Jie couldn't resist going to help out despite promising his uncle not to do anything. The ones that were in trouble were actually Lily (played by Fiona Xie) who's Uncle Chen's wayward daughter who has became the girlfriend of one of the triad gang members. She and her boyfriend were disturbed by the same gang led by the big boss' brother who likes Lily. Jie came to their rescue and fought all of the gang members off single-handedly. Along the way, this has caused the gang members who were transporting their goods to be ruined. The big boss was not happy and demanded that his brother to show him this person that is so good in fighting. After Jie's defeat when the triad's best fighter bested him, it has stirred his Uncle to rise to the occasion to bring the townspeople together to go up against the triad. This is a show about strength in unity, that it's better with more people than just relying in one person. Please don't expect the action to be on par with the martial arts films like Jet Li, Donnie Yen, Jackie Chan and the likes. If I may say, the martial arts may look amateurish if compared to current martial arts movies but somehow I like the movie. With it's old fashioned type of storyline and the way they choreographed the moves, it reminds me of the old martial arts movies. Back then, Chinese kung fu produces the best fight scenes compared to any other type of movie along with it's cheesy storyline. Now though, if you looked back at it, the moves may seem sluggish but nonetheless still a nice watch. This is how the movie makes me feel, just like the time I used to watch the old Chinese Kung Fu movies. So with that, I give it 3.5 stars out of 5. A little more about the movie, it's actually a collaboration of Malaysia, Singapore and China. The director is a Malaysian named Michael Chuah. The producing companies are EP Films Sdn Bhd which is a Malaysian company, Beishen and Desen International Media Co. Ltd which is from China who's also produced Ip Man 2 and Fusion Media Pte Ltd which is a Singapore based company. Michael Chuah, Henry Thia and Monday Kang at the press conference. Michael Chuah has always loved the action films of Hong Kong ever since young. Inspired by the likes of Bruce Lee, Jackie Chan, Jet Li ever since young, he aspired to make action films as such in the future. The action scenes were the most difficult thing in filming the action flick, it took up 80% of the duration in shooting the film and a lot of safety precautions, choreography and numerous takes were done to make it perfect. The film mainly shot in Malacca which also includes shots in Beijing, China, were choreographed in Chinese Wushu. So if you've been to Malacca or lived there, see if you can recognize the area. You tell me. LOL. I'm not as familiar as you. i just did not like the fact they did not really include Malaysia scenery or landmarks, or even any scenes indicating it was in Malaysia >< ..
Well, to me, I don't think that's necessary. Rarely a movie will highlight where it's shooting from as this might detract from the storyline. In this case, it might not be the case, but then again, it's irrelevant to the story.